Authenticated sites are marked by the SiteOhio seal. The seal indicates a site is ready for immediate development on day one, guaranteeing that all utilities are on site with adequate capacities and that due diligence studies have been completed. The SiteOhio seal also ensures the site is free of incompatible uses, with no limitations or insurance liability based on surrounding property. The property is the largest land parcel within the Dan Evans Industrial Park. This site is located approximately 1 mile north of US 35, only a few miles from Rio Grande and Gallipolis. A completed Phase I Environmental Site Assessment has been performed for the 76 acre site with a finding of no existing environmental conditions. 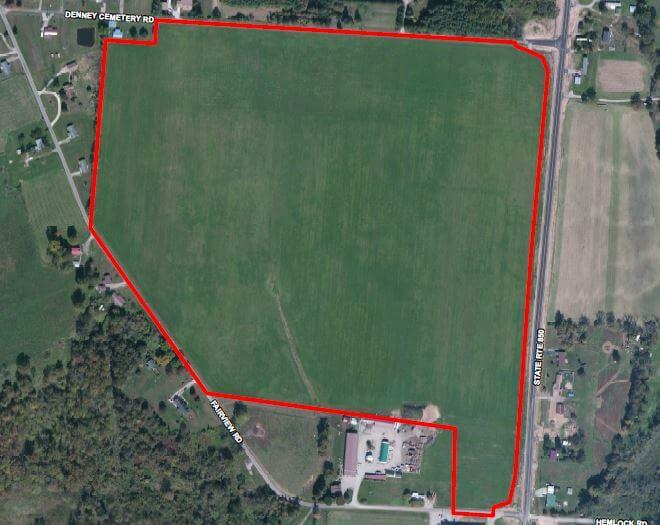 This site is conveniently located with multiple development opportunities. Zoning No zoning* *Industrial park is protected by covenants. Topography for the Dan Evans Industrial Park Phase II site is slightly rolling from west to east. Elevations for the entirety of the site range from 650 to 680 feet above sea level. According to the USDA NRCS, there are three soil types mapped for the site. The two dominant soil types shown are Doles silt loam, 0 to 2% slopes (Dol1A1 – 27.6 acres, 34.6% of the site) and Omulga silt loam, 2 to 6% slopes (Oum1B1 – 51.2 acres, 64.1% of the site). There were no listings for the site in the US EPA MyEnvironment or BUSTR databases. According to the FEMA FIRM 39053C0145E, the site is located within Zone X. Zone X is determined to be outside the 0.2% chance flood plain. 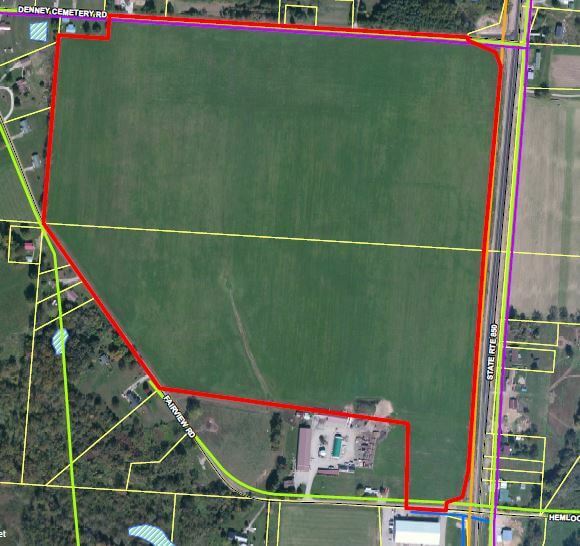 According to the USFWS NWI map for the Dan Evans Industrial Park Phase II property, there are no wetlands on the site. The primary vehicular access to the site is from SR 850 to the east. SR 850 is a two-lane road and there is good visibility for motorists turning into or out of the site. This site is located 1 mile north of US 35 and 52 miles from Interstate 77. There are no rail lines near the property. 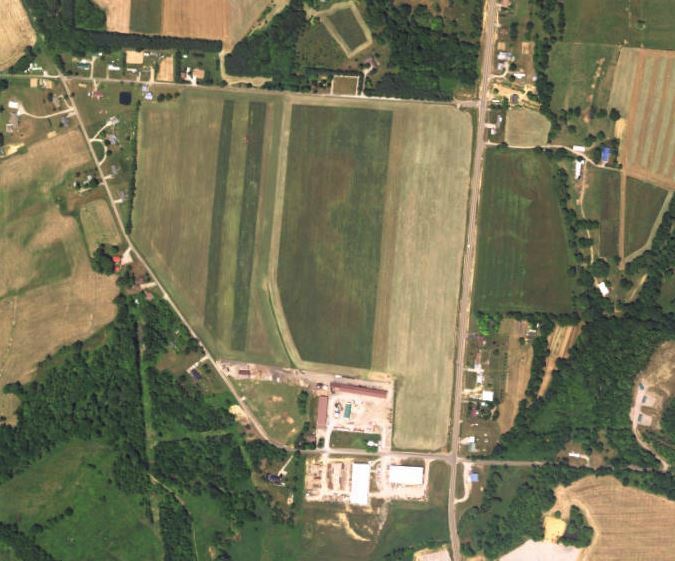 The Gallia Meigs Regional Airport is located just north of Gallipolis, Ohio, approximately 11 miles east of the property. 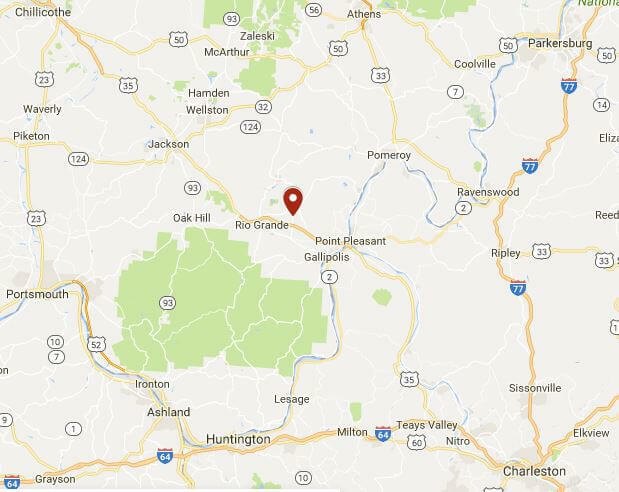 The closest large airport is the Huntington Tri State Airport, located in Huntington, West Virginia, approximately 63 miles south of the property. Natural Gas is provided to the available parcels by Columbia Gas. Service is available for the Dan Evans Industrial Park Phase II site from service mains located along SR 850. Electric service is provided to the site by AEP Ohio & Ohio Rural Electric Cooperatives. Currently the lines are 3 phase 1/0 and are scheduled to be upgraded with 3 phase 336 lines which should allow for 2500 KVA of additional loading at that point. Note the substation can support more but additional lines would have to be run. Potable water service is provided to the site by Gallia County Rural Water. The main lines within the industrial park are primarily 8 inch PVC lines which are supplied from a 12 inch transmission main. Current water plant capacity is 4.3 million gallons per day and average flow in 2015 was 1.9 mgd and peak day in 2015 was 2.5 mgd. Wastewater and sewer service is available to the site from the City of Gallipolis. Currently the plant is designed to operate at 1.6 mgd. The plant is currently undergoing an upgrade. Once complete in late 2016, the plant will have a design average flow rated at 2.0 mgd. Additional flow 150,000 gpd is expected with the completion of the sewer expansion project within the county. Therefore after plant upgrades, and additional anticipated flow, 0.8 mgd of excess capacity is expected. Telecommunication and fiber optic services are provided by AT&T and Horizon. Both services are available for the site. Horizon’s fiber is located along SR 850. Horizon can provide point to point, multipoint and dedicated internet access at bandwidth levels from 5 Mb to 10 Gb. The fiber backbone can carry 440 Gb of traffic and is built in rings to protect service from fiber cuts and guarantees customer service level agreements.